Sleep easier, longer, and deeper with the right bed in your home. What is the one thing that almost all mattresses have in common? They force you to sleep in a flat, prone position. Sure you can pile up pillows at the head or base of the bed, but for the most part, you’re still lying on a board. That is fine for most sleepers. But for some, beds with adjustable bases are the better option. This dynamic mattress option gives sleepers countless new opportunities for getting comfortable, as well as unique therapeutic benefits. Read on to learn if you should be sleeping on something like an adjustable base. What are Beds with Adjustable Bases? Adjustable bases are simply beds that can be raised and lowered at the head and base. They are common in hospital settings, but there are a growing number of options that are designed and priced for the home. In most cases, the adjustment is handled with a remote control, and some options allow for dynamic movement and positioning. In all cases, the adjustment mechanism is installed inside a mattress designed to provide maximum comfort and support. What are the Benefits of Beds with Adjustable Bases? Adjustable mattresses distribute body weight evenly to help relieve pain in the neck and back. By elevating the head, users are able to alleviate the symptoms of acid reflux and snoring. A more comfortable sleeping position can minimize the severity of asthma symptoms. An elevated foot position can reduce swelling in the feet. Being able to customize your sleeping position helps you maximize your comfort and get the best night of sleep possible. Are Beds with Adjustable Bases Right for Me? Don’t decide if this is the right option for you until you spend some time lying on an adjustable bed and experimenting with the settings. Visit a Beloit Mattress location near you to browse our selection of beds, work with our team of sleep experts, and take a model for a test rest. 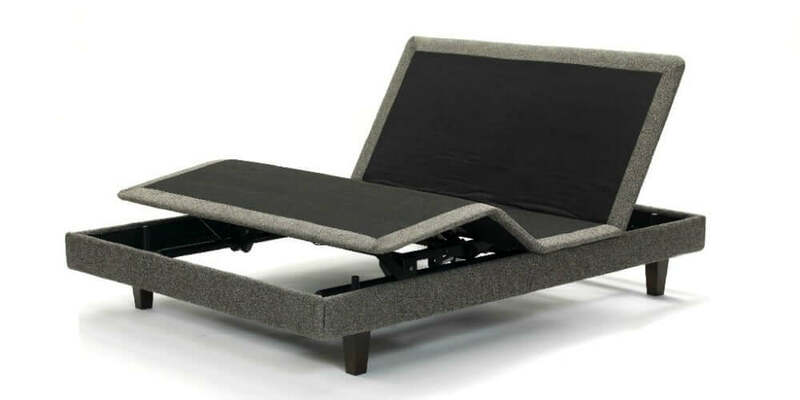 Until you get here, check out our inventory of adjustable beds online.